Golden Beet Salad with Orange Sesame Vinaigrette is yet another recipe created due in part to the 25 lbs. of organic golden beets I ordered. 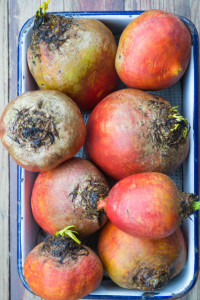 Now there’s no written rule that I have to use all these beets up right away. However, if you know me, I’m looking at that bag and consider it a challenge. How many things can I cook or bake? 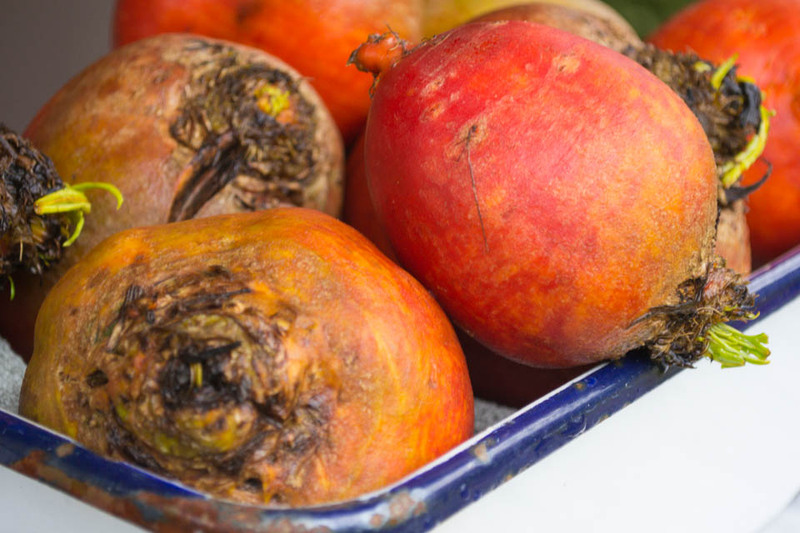 How many recipes can I develop from just one simple vegetable? Will I be the color of a golden beet when I am all done? Hopefully not, but I sure do think they are a beautiful vegetable. 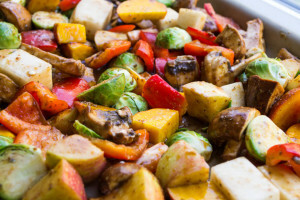 The earthy flavor is versatile for salads, soups, and even nut breads. 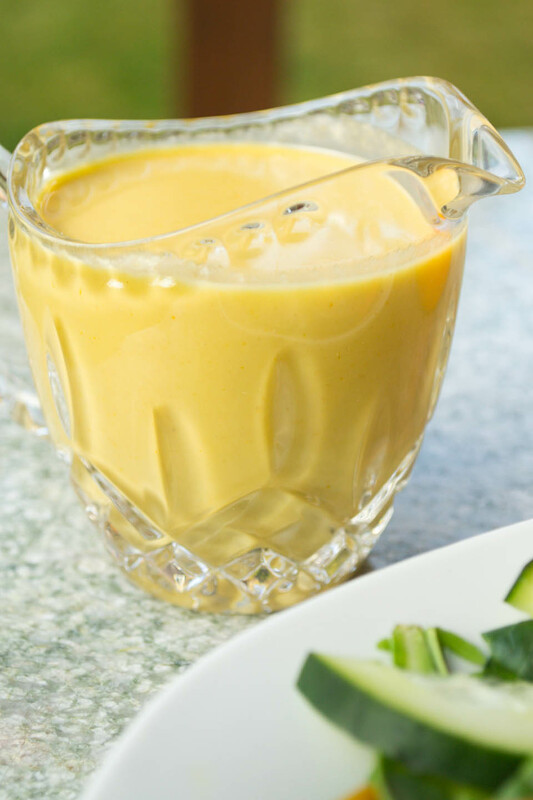 Break out the golden beets and make Balsamic Roasted Vegetables or Golden Beet Carrot Smoothie. I know it’s January and we all are thinking and eating soups this time of year. I think I make a pot of soup almost every week. However, let’s not forget about salads. You know those fresh, chilled dishes usually containing some kind of greens. I have a salad for lunch five days a week. It starts with greens and goes on from there. Sometimes just adding whatever vegetables I have in the refrigerator, other times I get more creative. Since I had all these golden beets, I decided I better start getting creative. 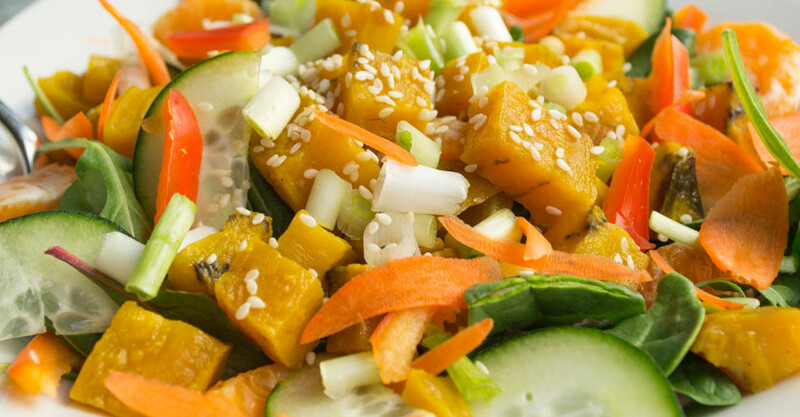 I knew since this golden beet salad was leaning towards having an asian flavor that the dressing had to lean the same direction. 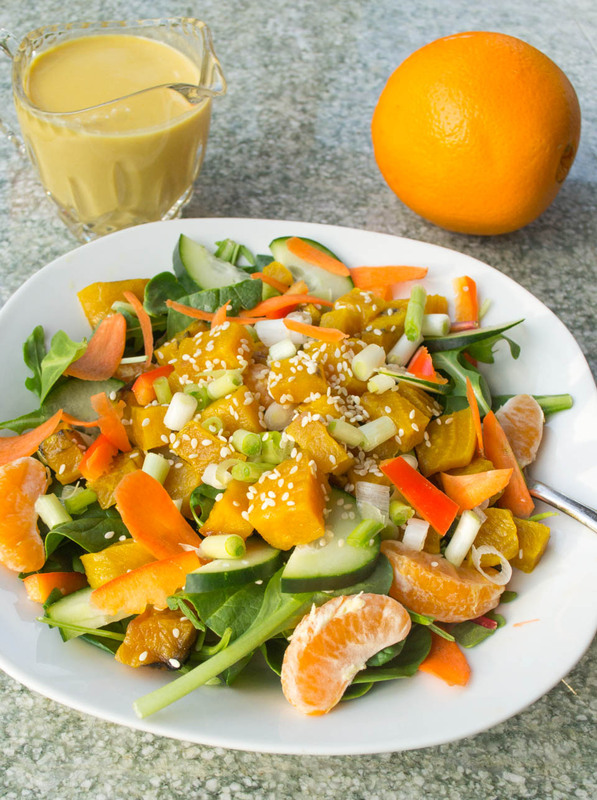 Enter Orange Sesame Dressing. Light and fresh, zingy but not overpowering, the essence makes me think of spring. 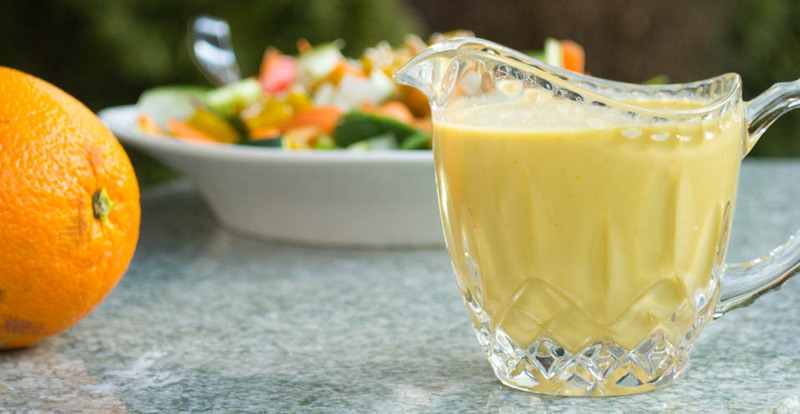 Orange crispness, ginger spiciness, and the toasted blend of the sesame oil makes for a slightly sweet, tart vinaigrette. Golden Beet salad really had me thinking of spring and summer, in the middle of January I’m not sure that’s a good idea, then again why not. A little bowl of sunshine, so fresh and crisp, everyone needs a pick me up this time of year. Sweet oranges, crisp cucumbers, earthy golden beets, brilliant red peppers and tangy little green onions. Can you just taste the sunshine in your mouth? It’s January, treat yourself to a little bit of sunshine. Add all ingredients except for the olive oil for vinaigrette into blender and blend. Slowly add in the Olive oil through hole in lid while blending on low. In large shallow bowl place greens on the bottom. Layer on the following on top of greens, cucumbers, red peppers, carrot, oranges, beets, and green onions. 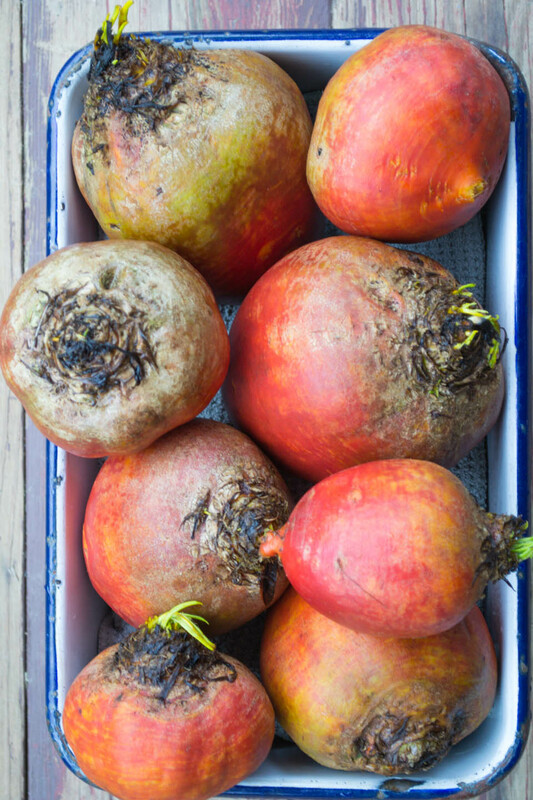 I like the red beets ones very much, so I’m intrigued by the ones you’ve got here. Are they similar in taste? Yes and no. They still have a sweetness, but have more of a earthy flavor, I like them better than red. Buy a few and give them a try. Oh, I totally will if I ever see them anywhere. And I agree with Jacqueline, your food pictures look very pretty! I love your recipes ! They all are so pretty. Thanks so much Jacqueline, I really enjoy inspiring others to cook and eat healthy.